All of our courses are specifically designed to help you meet your PDH requirements At Your Pace Online! We have built our courses according to Professional Development Programs standards as laid out by the Mississippi Board of Licensure for Professional Engineers and Surveyors. 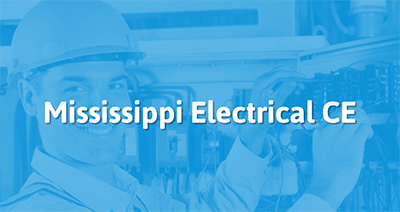 Take the continuing education to renew your Mississippi electrical engineer license today! All of our courses can be completed At Your Pace Online to help you meet the state's requirements to maintain your license. Once you finish your class you will have an official certificate of completion to save for your records. Mississippi requires that Electrical Engineers complete a total of 15 Professional Development Hours (PDHs) by December 31 every year. This package has been designed for Electrical Engineers to fulfill their Professional Development Requirements online! In this course we will cover Electrical Industry subjects and updates to the 2017 NEC. Topics in this Package include general & definitions, wiring & protection, wiring methods & materials, equipment for general use, and special equipment. This package has been designed for Electrical Engineers to fulfill their Professional Development Requirements online! In this course we will cover Electrical Industry subjects and updates to the 2017 NEC. Topics in this Package include general info & definitions, wiring methods & materials, special equipment. This course has been designed for Electrical Engineers to meet 5 Professional Development Units online! In this course we will cover Electrical Industry subjects and updates to the 2017 NEC. 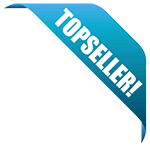 Topics in this Package include wiring & protection, equipment for general use.